Santa Rosa Sanctuary City Now! A RESOLUTION OF THE COUNCIL OF THE CITY OF SANTA ROSA, CALIFORNIA, EXPRESSING SUPPORT FOR COMPREHENSIVE FEDERAL IMMIGRATION REFORMS THAT: 1. CREATE A PATHWAY TO CITIZENSHIP, ENSURE ECONOMIC STRENGTH AND PROMOTE STRONGER COMMUNITIES and 2. SUPPORTS THE EXTENSION AND IMPLEMENTATION OF DACA AND DAPA. WHEREAS, the City of Santa Rosa recognizes the hopes of millions of immigrants to reunify. WHEREAS, despite all of the above actions, the United States Congress has yet to pass comprehensive immigration reform and the full implementation of extended DAPA has been suspended in federal courts. other cities in Sonoma County and neighboring counties in the Bay Area and North Coast to follow suit and work towards the development of a regional approach to immigrant integration that will uphold the American tradition of being a nation of immigrants, whose role in enriching our nation culturally and economically is recognized by the City of Santa Rosa. 7. IT IS FURTHER RESOLVED, that a copy this resolution shall be sent to the City of Santa Rosa’s federal representatives and to the President of the United States. 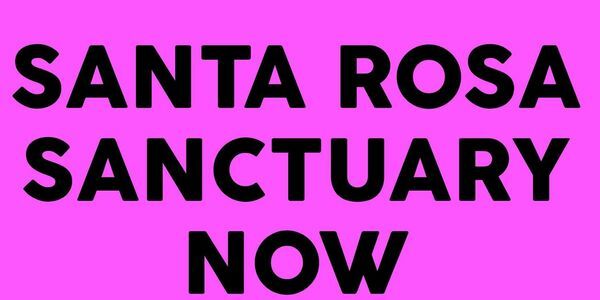 Please sign this petition asking Santa Rosa City Council to make Santa Rosa a Sanctuary City and more. Let's come together to protect families in our community.